Achieving work-life balance is a constant every day struggle for most of us. We strive to be good at our job; but we strive to be good at life as well, and at some point, we come to the realization of how hard it is to maintain this delicate balance. 1. Take some time out for exercise. 2. Do not finish your meals in a hurry, always stick to sensible food portions, and pack healthy snacks for when you’re on the go. 3. Exercise with family. This way, ‘you get two birds with one stone’. You spend quality time with your family while simultaneously getting fit. Have you had to take a rain check on a dinner or coffee meet with your friend recently or have you had to cancel dinner plans you made with your spouse because you are stuck at work again? If you find yourself stuck in a tight work schedule, with absolutely no wriggle space, you’re heading for trouble. It is easy to lose sight of what is really important in your life (positive relationships), if you fail to manage your time sensibly. Is your anger getting the better of you? 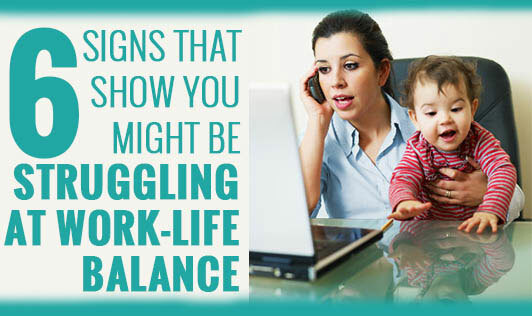 Juggling work and personal life often leads to a lot of unnecessary stress and anxiety. Usually, this stress builds internally (over a period of time) and manifests as an angry outburst every now and then. If you have recently been feeling like your kid or spouse has been getting on your nerves more than usual, or if you have been flipping out at people in the office, it may be time to start rethinking the whole work-life balance thing. Do you stay back at work just to prove your worth? While there is no arguing, that hard work is what it takes to succeed, there are times one can overdo it. It is such a competitive work environment and we do whatever it takes to get ahead. But unfortunately, with every brownie point you get at work, you could be losing one at home. Remember that it is doesn’t matter how many hours you spend at work. What matters is the quality of your contribution, about your efficiency during those 8 to 9 working hours. Try working smarter by planning out your work day and adhering to a sensible work schedule. Is your social life hanging by a thread? When stress gets to us, we tend to push away the few people who might really be of help. The reason behind this could be that we wish to sort out things on our own without wanting to stress out our loved ones. But, during times like these, it is important to remember that your friends and family will be by your side through thick and thin. Never compromise on your social life. Enjoy a night out with friends or take your spouse out on a romantic date. It will help take your mind off things for a while and might just give you a whole new perspective. Does work often become your preferred activity of choice? Do you find yourself finishing off work even during your free time? Or do you tend to bring work home a lot? This is a big indicator that your life is out of balance. While it is understandable that work does take up most of your time, it can definitely be put on hold when you are on a break or at home, giving you time to focus on other important aspects of your life too. Try switching off (mentally of course) when you leave work and learn to say ‘no’ to any request of finishing off work at home. While it may seem hard in the beginning, you will soon begin to realize how great you feel during that break.